Will this year’s event be the final Fourth on the Esplanade? 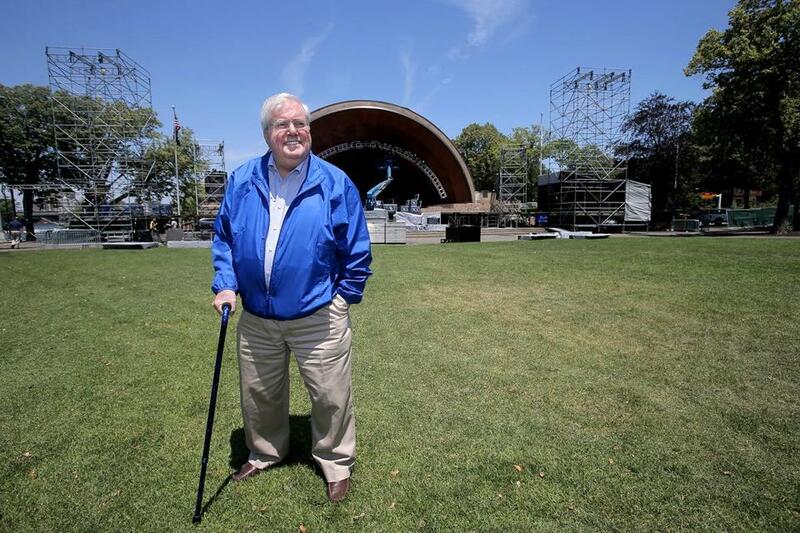 With his 43rd and final Fourth of July celebration on the Esplanade approaching, David Mugar was looking for help, someone to take over sponsorship of the festivities this summer and sustain it after his retirement. His team reached out to nearly 1,000 companies across the Northeast, but just 75 asked for more information. And then all of them said the same thing: Thanks, but no thanks. That makes the future murky for one of New England’s signature events, a July Fourth celebration that cemented itself as an institution in 1976 — drawing a Guinness Book of World Records crowd and plaudits from Walter Cronkite — and has since become part of the region’s civic DNA. The 77-year-old Mugar has quietly contributed 40,000 hours and roughly $20 million to the venture since 1974, when he first persuaded Boston Pops maestro Arthur Fiedler to end a July 4 concert with the “1812 Overture” and pair it with cannon fire, church bells, and fireworks. After the annual cost topped $1 million, Mugar began lining up corporate sponsors to cover the bill, through a nonprofit called Boston 4 Celebrations . He partnered first with Fidelity and then Liberty Mutual, whose 11-year run ended after last summer’s show. From Arthur Fiedler to Harry Houdini, there’s more than fireworks to the Charles River parkland. Mugar, who announced his retirement last December, thought it would be relatively easy to find a new sponsor — especially after longtime national broadcast partner CBS announced it would again carry the show this summer after a three-year hiatus. “Could you imagine families coming to this area, and there’s no July Fourth event?” asks David Mugar. The network even promised to line up and pay the singers who will join the orchestra on the Hatch Shell stage this year, pop stars Demi Lovato and Nick Jonas and country act Little Big Town, who have a combined 49 million Twitter followers. But even with the combination of national TV exposure and local branding — before an Esplanade crowd that often approaches half a million — no sponsor materialized. So Mugar had to turn down CBS’s proposed five-year contract; he couldn’t guarantee there would be anything to televise after this summer. Instead, he signed a one-show deal and promised to write checks for everything besides the CBS-funded musical acts and TV production, a $2 million tab that covers a wide range of costs, including fireworks, port-a-potties, police, and insurance. 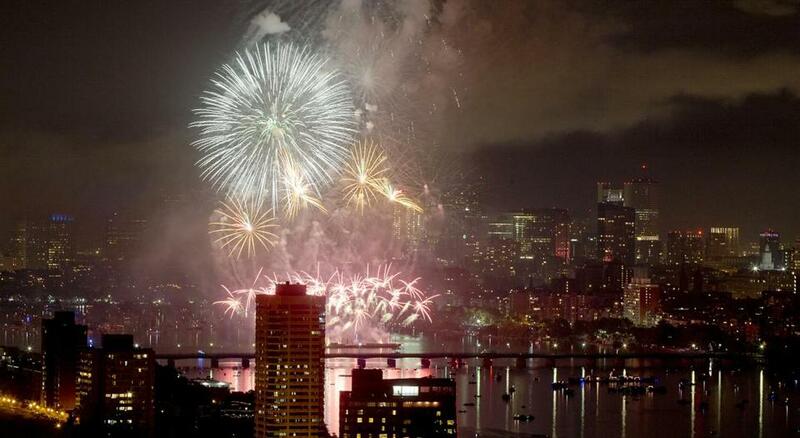 “Could you imagine families coming to this area, and there’s no July Fourth event?” said Mugar, thinking of all the people from beyond New England — a full one-third of the attendees, according to surveys — building vacations around Boston’s Fourth. Mugar, a Star Market heir who expanded his fortune through an array of real estate and business ventures, never set out to create a lasting event. He had grown up attending the Pops summer series on the Esplanade and feared that the concerts were languishing, the shows dwindling to a few dates and the crowd sparse and graying. 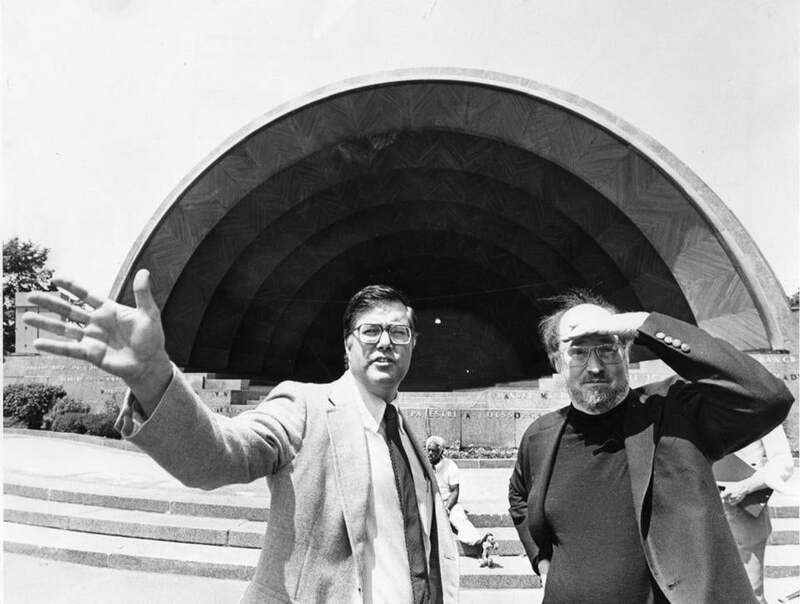 David Mugar and John Williams, then the Pops conductor, outside the Hatch Shell before the 1980 performance. They hoped for 15,000 attendees but drew 75,000 — a smashing success to everyone except Mugar, a logistics buff who kept replaying all of the things they would have done differently if they had known to expect such a crowd. So they returned one more time for 1975 — “to get it right” — and 170,000 turned out, the largest crowd for a fireworks show on the Eastern Seaboard since 1940. With the ’76 Bicentennial approaching, Mugar agreed to produce one more encore. That was 40 years ago. “I just did the best I could, and started an event that I never dreamed would become what it has,” said Mugar, recalling the 400,000 people who packed both sides of the Charles River in 1976, a crowd recorded by Guinness as the largest ever assembled for a classical music concert. It was a star-spangled affair that wound up capping a CBS special on Bicentennial celebrations around the nation. Though Mugar still attends every planning meeting, he has delegated much of the nuts-and-bolts work and the decision-making to a veteran team at his Boston 4 organization — led by executive producers Rich MacDonald and Pam Picard — that he says could continue to carry on the festivities well into the future. They just need an underwriter. He doesn’t know who or what that will be, but he is hopeful that civic leaders, including Governor Charlie Baker, can find a sponsor to take over. Mugar says he is happy to consult as needed in retirement, but the lifelong Red Sox fan plans to make a clean break, like Ted Williams, who homered in his final at-bat. Mugar was one of the fans at Fenway that day, amid a reported crowd of 10,454 that grew exponentially in the retelling; a photo he took of Williams adorns his office.